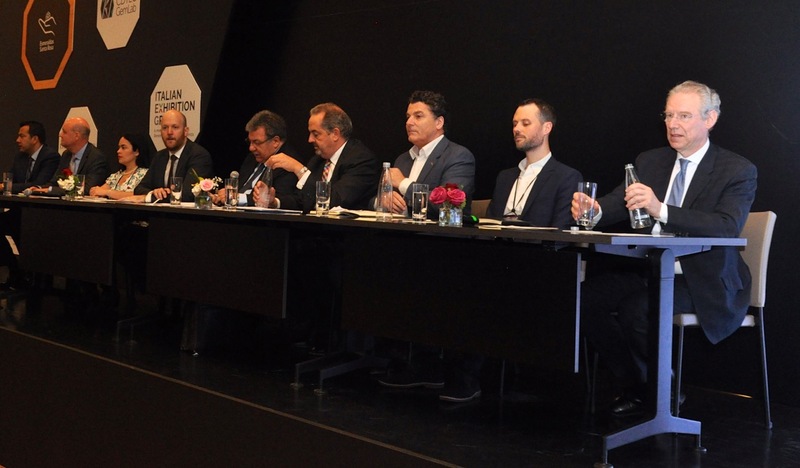 The 2018 CIBJO Congress has opened in Bogotá, Colombia, with CIBJO President Gaetano Cavalieri dispelling what he described as a popularly-held belief that very little changes. Dr. Cavalieri spoke about the intensive work of CIBJO for more than a decade in the field of Corporate Social Responsibility, and of the release by the organisation of a Responsible Sourcing Guidance document, which creates a general framework for the worldwide industry. 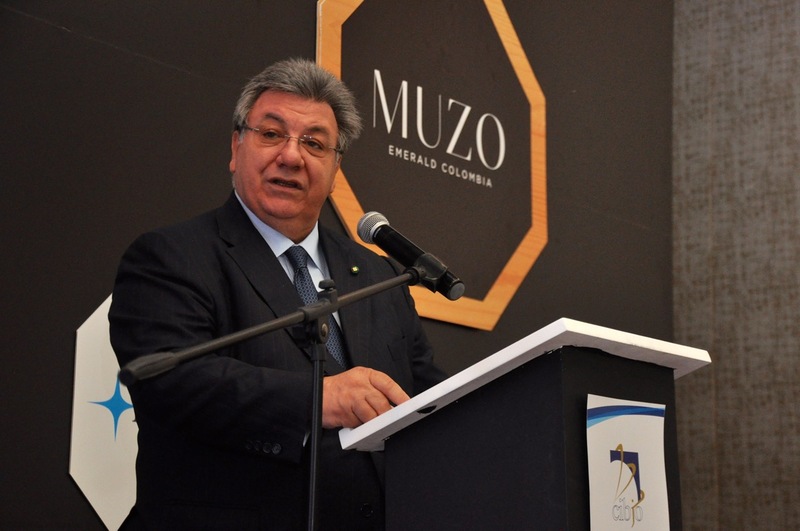 Dr Cavalieri was followed by Edwin Molina, President of Aprecol, the Colombian Emerald Producers Association. 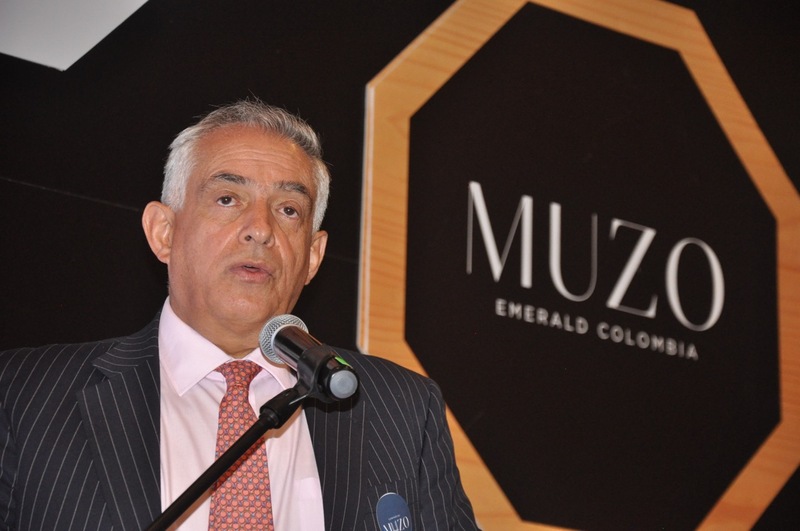 He applauded CIBJO for holding its annual congress in Colombia, and briefed the delegates on the nature of the Colombian emerald mining industry and the challenges that it has faced in recent decades. Mr. Molina said that Aprecol aimed to show how the industry is changing in Colombia and to promote it internationally. “We understand the importance of responsible mining and commitments to mining communities. We have launched an appellation of origin of our country’s emeralds together with the government. This will demonstrate a responsible sourcing and commitment to communities. There would be a special stamp showing the origin of the emeralds,” he stated. 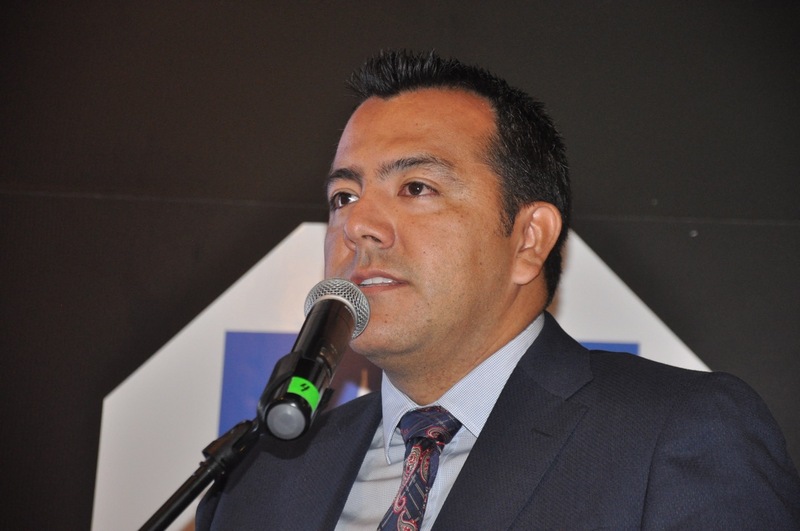 Alberto Saldarriaga, Director of Communications of Mineria Texas Colombia, said the CIBJO Congress helped make the Second World Emerald Symposium which preceded it a success. Tyler Gillard, who heads the OECD’s Responsible Mineral Supply Chain project. He said the initiative he leads is instituted in 48 countries and helps companies set global responsible business standards. “The jewellery supply chain is a critical source of jobs around the world. Because of uncertainty in global trade, it is important that this industry understands the need for rule-based regulations,” he stated. “There is a regulatory push by governments who are worried about tax evasion, human rights impacts, money laundering, and consumers are also increasingly vocal that supply chains be responsible especially with products like jewellery. They are prepared to pay 10 percent more for products made by socially responsible companies,” Mr. Gillard said. “Companies that do this perform 2-10 percent better because they can get easier access to finance if they are operating according to international standards, such as the OECD standards which are supported by 48 nations,” he stated. “The OECD understands the challenges in instituting these changes, especially for small-scale miners and other small firms across the supply chain. So our initiative is flexible and can be adapted. We are willing to adapt our standard to your needs. We don’t require full traceability from mine to consumer, but that you are exhibiting a strong degree of commitment. We don’t support embargoes or boycotts because we think that is not responsible. It’s a tool for bringing people together to adopt it and not to exclude firms. But we do require good faith. 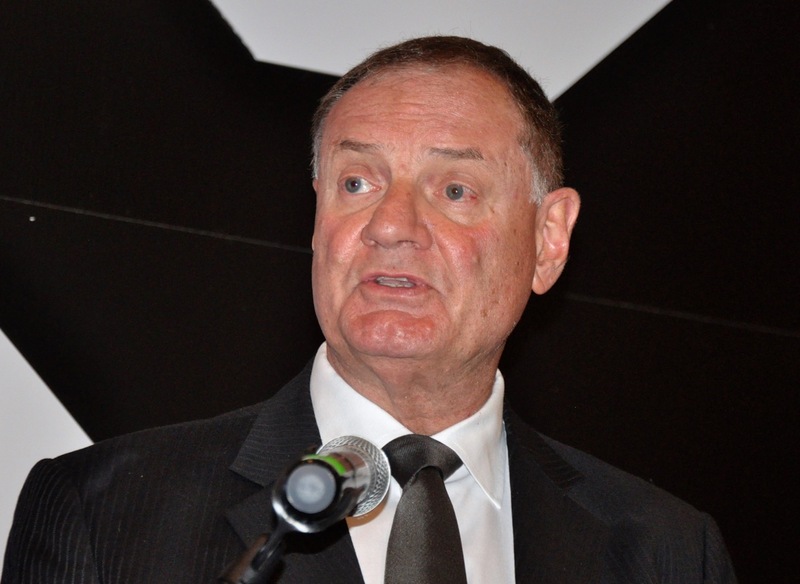 This industry should not live with reputational damage,” Mr. Gillard noted. 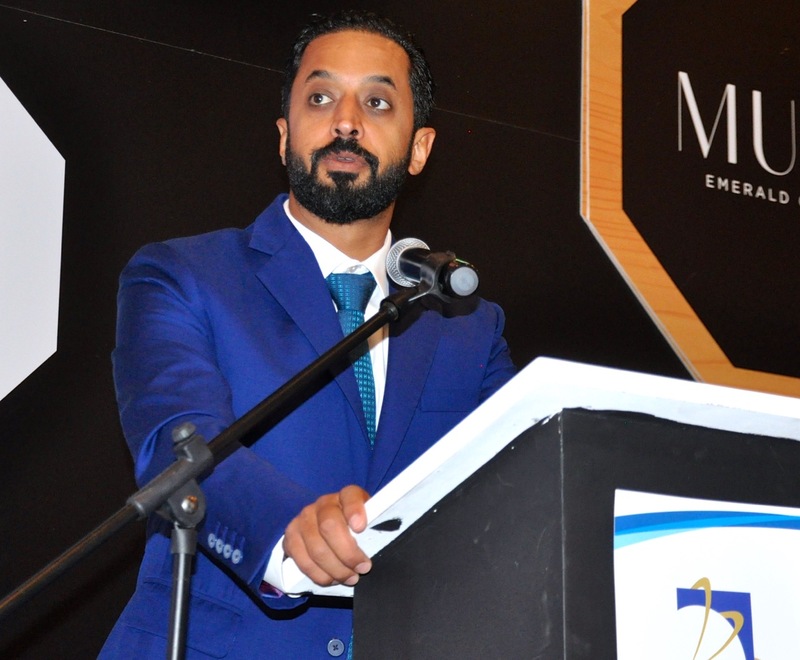 Ahmed Bin Sulayem, Executive Chairman of the Dubai Multi Commodities Centre (DMCC), spoke of CIBJO’s Commissions which cover every aspect of the global jewellery trade – from diamonds and coloured gemstones to pearls, precious metals, coral, gemmology and others. CIBJO’s Blue Books provide the most authoritative information on all elements of the jewellery supply chain, he said, adding that the DMCC is considering the translation of the Blue Books into Arabic for the Gulf and Middle East regions. “The release in July of the U.S. Federal Trade Commission’s revised guides to jewellery, emphasised the importance of the Blue Books. Although the U.S. is the single largest market, we need authoritative documents that can serve the global market and that is precisely what your Blue Books provide. As the United Nations of the Jewellery industry, CIBJO should not be held to ransom by the FTC ruling,” He stated. 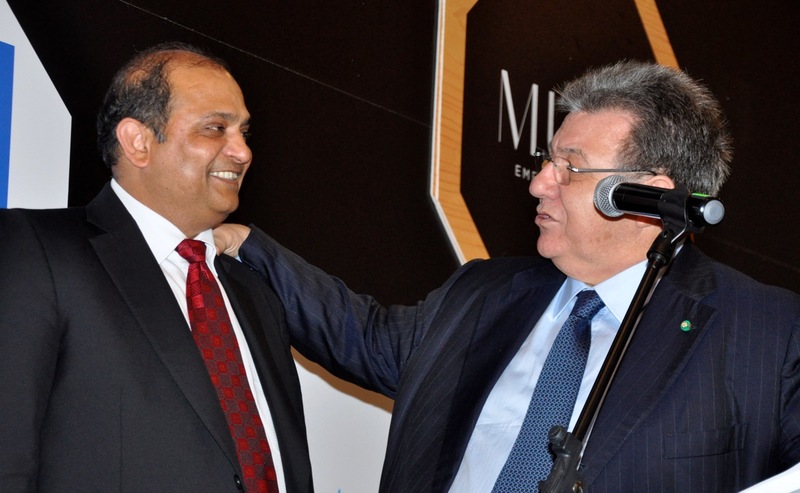 He spoke of his vision of making Dubai a centre for coloured gemstone trading just as the DMCC did for diamond trading. In just 15 years, Dubai created the infrastructure necessary to create an international market place for diamonds in Dubai. 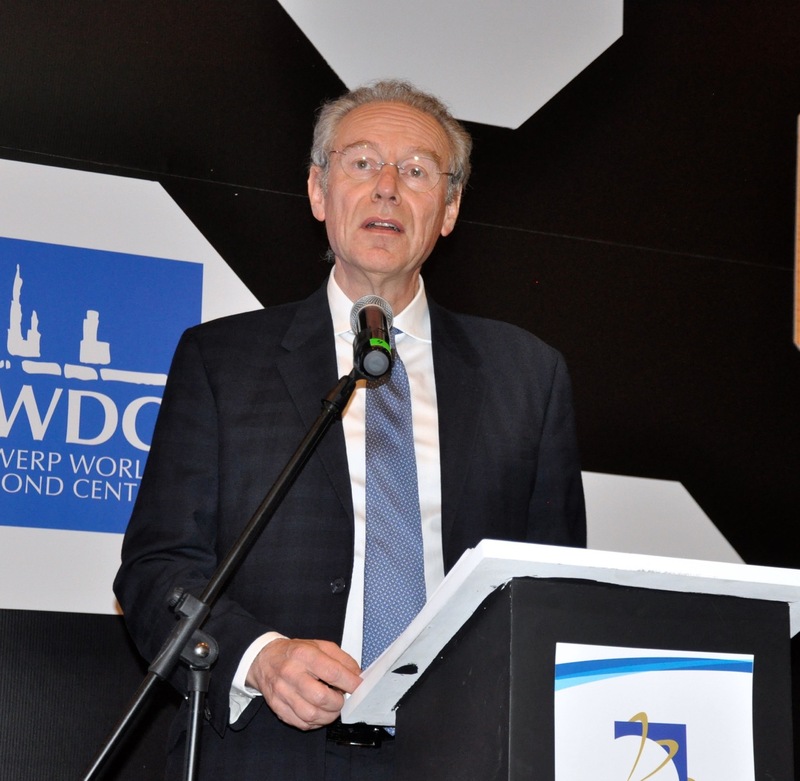 Stephane Fischler, President, World Diamond Council (WDC), spoke of the role of the WDC in creating the Kimberley Process to stamp out conflict diamonds. 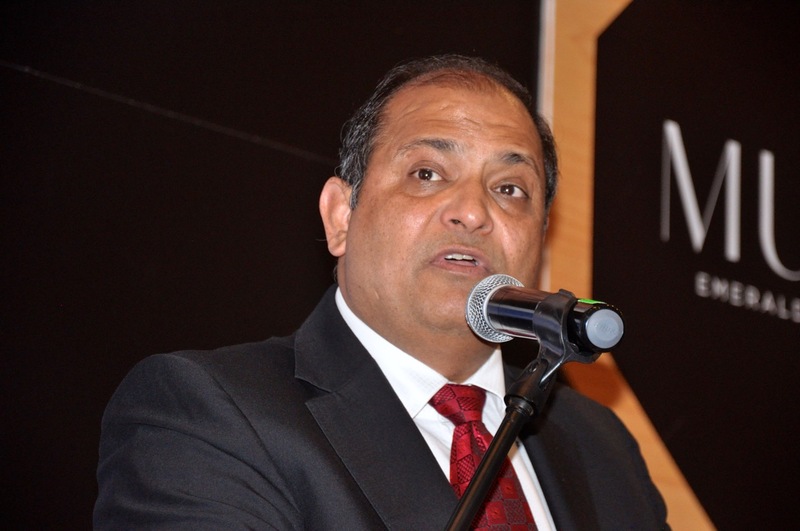 There are many challenges facing the supply chain, and CIBJO is leading the way in responsible practises since it is critical that consumers must feel comfortable with the jewellery they buy, he said. The WDC has no power to push changes through to deal with supply chain issues, but industry bodies can make changes by self-government rather than waiting for governments to act, he commented. However, governments do have a role in creating protection and the legal framework for transparent business. Pramod Kumar Agarwal, Chairman of the Gems and Jewellery Export Council (GJEPC) of India, talked about the role of the GJEPC which has 6,500 members across the sub-continent who deal from all parts of the jewellery pipeline. India consumes 10 percent of polished diamonds and polishes 11 out of 12 rough diamonds for the global market, and is an active member of the Kimberley Process and driving change. “We are concerned about the lack of diamond promotion and we have taken the initiative by contributing $2 million to the budget of the Diamond Producers Association,” he said. He mentioned that Jaipur in India has great experience in cutting and polishing emeralds from around the world, including stones from Colombia. He said that the FTC revised guides for jewellery created confusion among consumers. “We are not against any product, but that should not be at the cost of the natural diamond industry,” he said. Mr. Agarwal spoke of the International Diamond Monitoring Committee that was set up by the GJEPC last year and asked for CIBJO to give it its full support. Mr. Blom said that, as with CIBJO members, WFDB members also voluntarily devote an enormous amount of time, in order the deal with the challenges facing the industry. The WFDB, with 30 bourses in 21 countries spanning the globe, protects the consumer by ensuring that diamonds are traded fairly and honestly. “We ensure that diamonds are traded fairly right across the world – from the Panama exchange in the South to our bourses in Asia in the North – and everywhere in between. 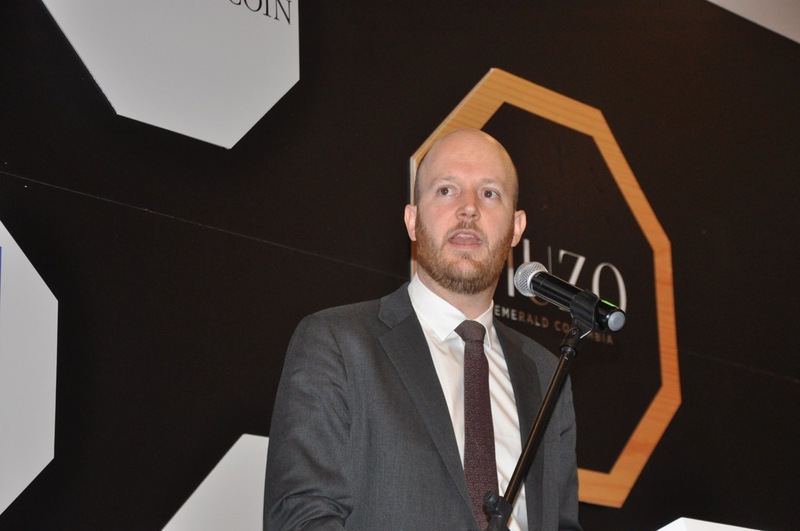 We will always consider applications from groups who wish to set up a new diamond exchange – and nothing would please me more than to expand our coverage in Central and South America with its huge economies and rapidly growing middle-class populations,” he said. Mr. Blom concluded by mentioning the close cooperation and excellent relations between the WFDB and CIBJO which helps the jewellery industry globally tackle challenges. Concluding the opening session, Dr Cavalieri thanked the speakers and delegates from across the world for making the effort to attend. He spoke of the need for transparency and best business practices. “We try to serve as an example to the jewellery industry,” he stated.